Yes, we know it's about you! Once you find the perfect dress though, there are still crucial decisions for you to make. There are so many different accessories to perfect your wedding day look! Here are some options that brides are turning to this wedding season to add to the sparkle of the wedding dress! ++ If you are a traditional bride, the veil is always a classic accessory. You can go short or long and you can always switch it out for the reception! Here is a long veil that will make for stunning photos. ++ More trendy brides are going for different hair pieces. A unique hair accessory can add compliments to your look. Barrettes and headbands have increased in popularity recently. This can also be an option for the reception if you go for a veil at the ceremony. ++ Flower headbands, as seen below, could be a perfect accessory for a rustic or romantic themed wedding. ETSY has a unique and wide variety of headbands. ++ A big trend in fashion and weddings are statement jewelry pieces as seen below. Statement necklaces fit perfect for brides wearing strapless dresses. This could be a great addition to this style of wedding dresses. ++ These colorful earrings are a big statment. It's also a great way to incorporate wedding colors into your accessories. ++ Same thing with these sparkly earrings! Be a courageous bride and step out with some gorgeous statement pieces. ++ Every bride should really consider a handbag. Store it in your transportation! Keep your touchup make up in it and possibly a little love note for your husband. 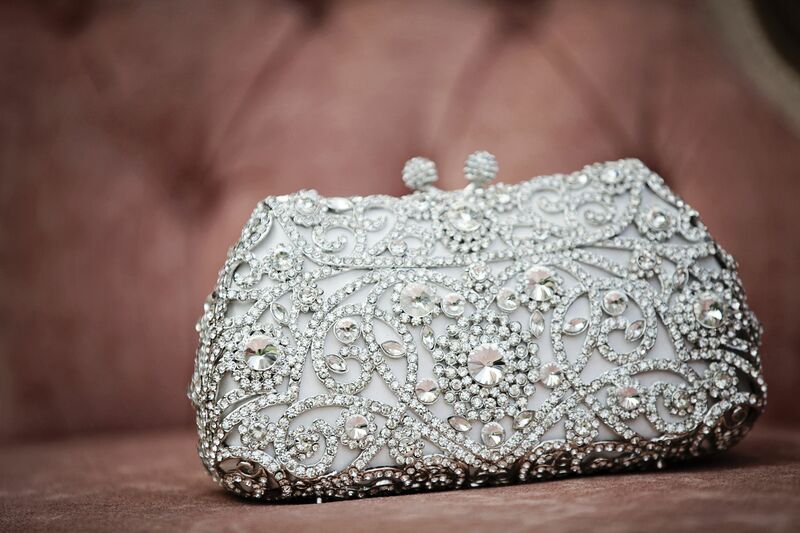 This beaded clutch would look gorgeous with any wedding dress. 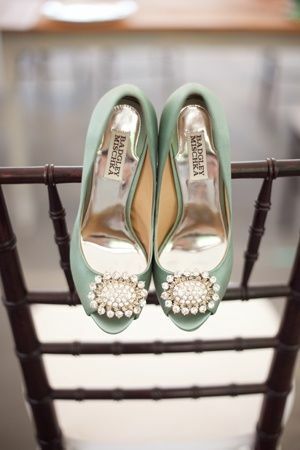 ++ Another great way to incorporate your wedding colors is with your shoes! Colorful shoes will also make for fun photos. They can also be your something blue! Ok, it really is all about the dress. Add some color to your dress with a beaded stash. Adding color to the traditional white dresses is a big trend. Consider adding some extra embellishments. ++ After your done scoping out the internet for wedding accessories check out, Julie Hanan Design for your wedding invitations. We also specialize in wedding designs for wedding stationery, save the dates and wedding programs!